WHEN: Saturday, August 1, from 9:30 a.m. to 8 p.m.
WHAT: This Saturday marked Toronto’s 47th annual Caribana Festival. 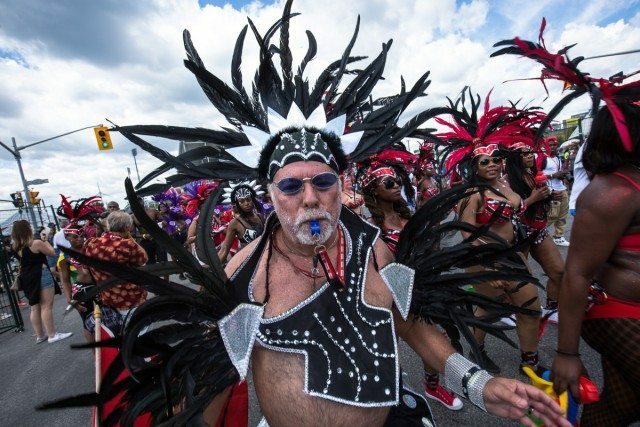 With nearly one million people in attendance at North America’s largest Caribbean parade, people from all walks of life “dutty wined” to calypso beats and steel pans while hundreds march-danced along in brightly decorated costumes and headdresses in the Saturday sun. Even Mayor John Tory and Minister of Defence Jason Kenney were high in spirit; the two were seen having a “dance off” to soca hit of the year, “Like Ah Boss.” With Drake’s OVO Fest, Big Sean’s BLESSED party at Liberty Village’s RED Nightclub, and Karrueche Tran in attendance, this year’s Caribana was straight fire.